1 Police officers are seen on the pavement outside parliament in Tunis. 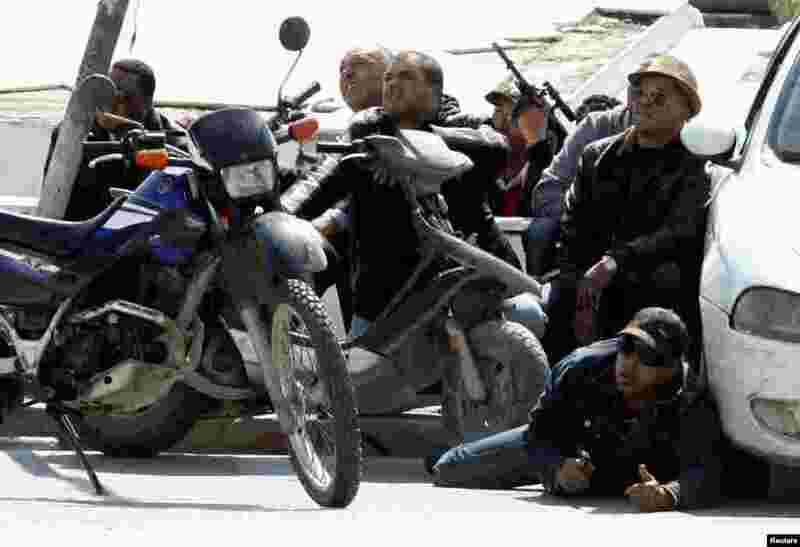 Gunmen attacked Tunisia's national museum near its parliament, killing at least 19 people and taking others hostage inside the building, the government said. 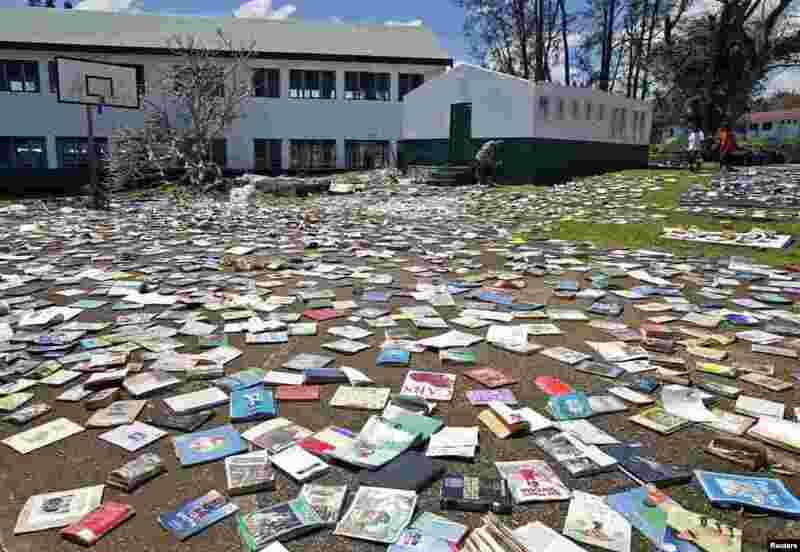 2 Paul Alexander Hatyay (C), the headmaster, and teacher of Central School, lays out books to dry in the sun after the roof of the school's library was blown away by Cyclone Pam in Port Vila, the capital city of the Pacific island nation of Vanuatu. 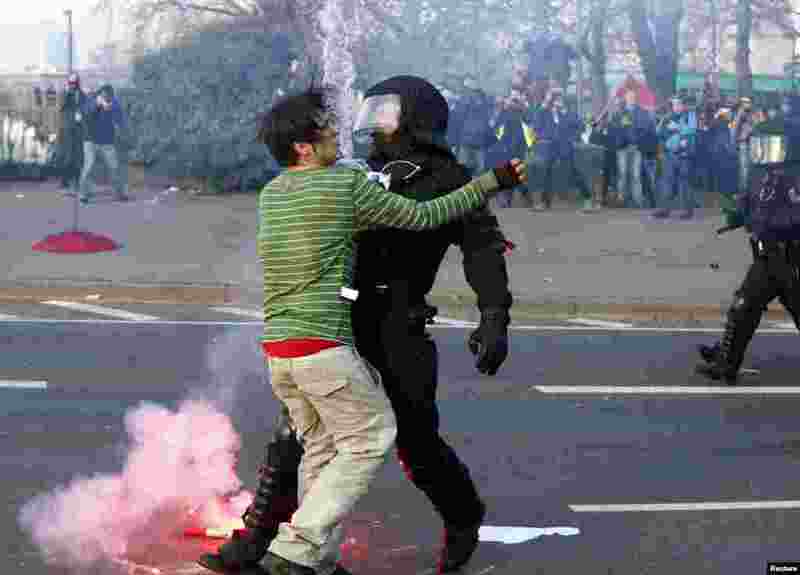 3 A policeman stops a 'Blockupy' anti-capitalist protester near the European Central Bank (ECB) building before the official opening of its new headquarters in Frankfurt, Germany. 4 Fadila Efendic prays near memorial plaques at the Potocari genocide memorial center near Srebrenica. Fadila lost her son and husband in the Srebrenica massacre. 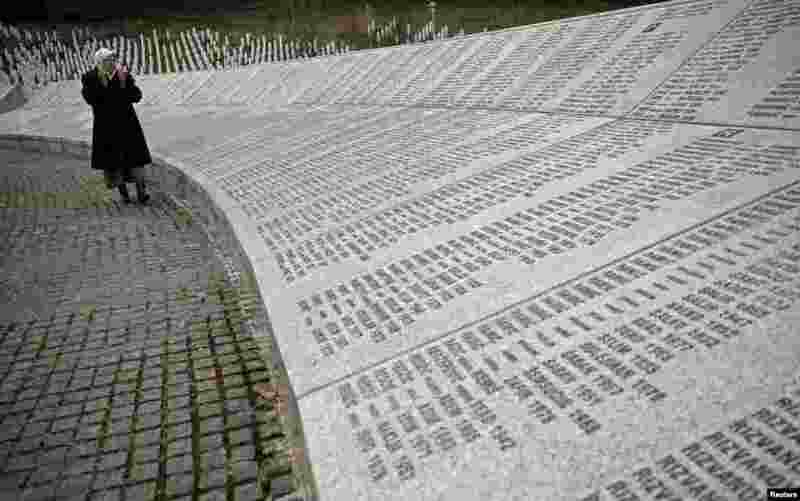 Serbia arrested eight men suspected of taking part in the 1995 Srebrenica massacre in Bosnia, the first such arrests in the ex-Yugoslav republic of accused gunmen in Europe's worst atrocity since World War II.